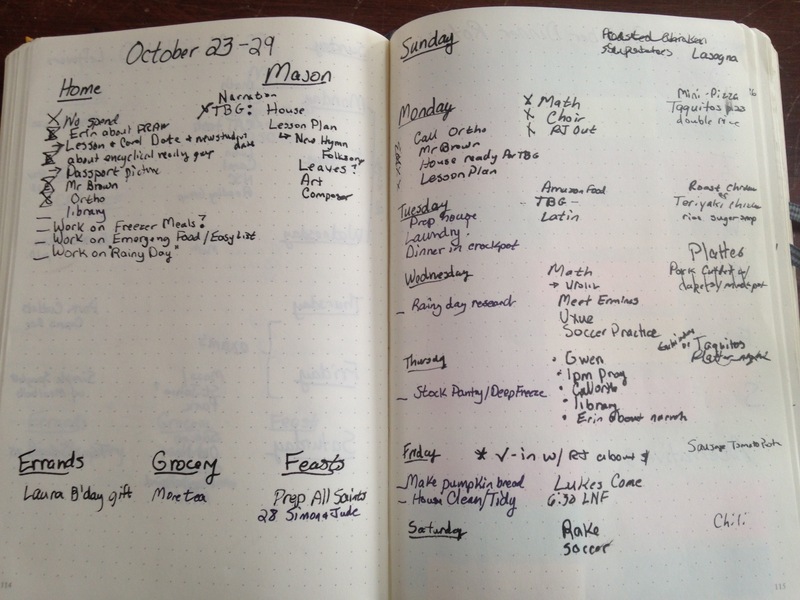 Some questions have come in from our readers about what you need in order to create a bullet journal system for yourself. We thought it would be helpful if you took the four minutes to watch the video from the creator of the system itself. As you can see, his book has a nearly blank page. It actually has a system of dots on it and this is the type of paper that Amy prefers in her book. 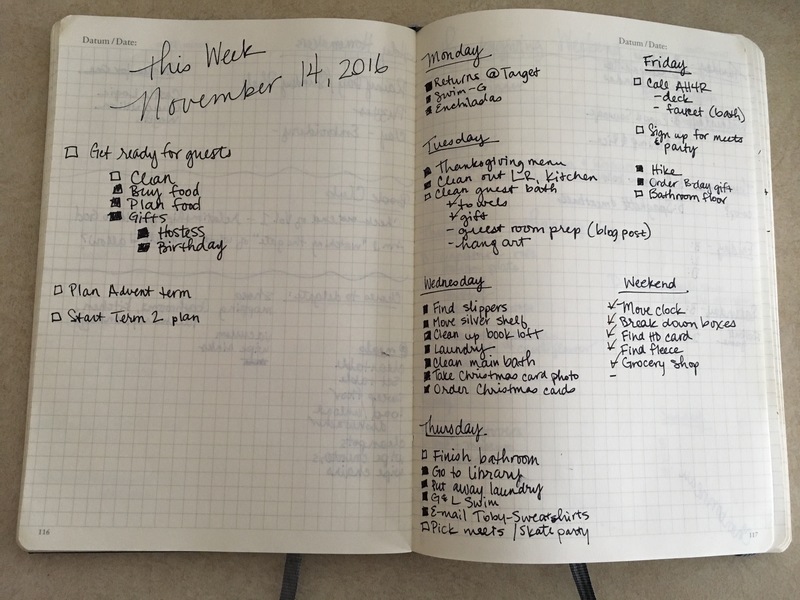 She has previously used the Leuchtturm1917 dotted but has now switched to the larger Moleskine dotted journal. 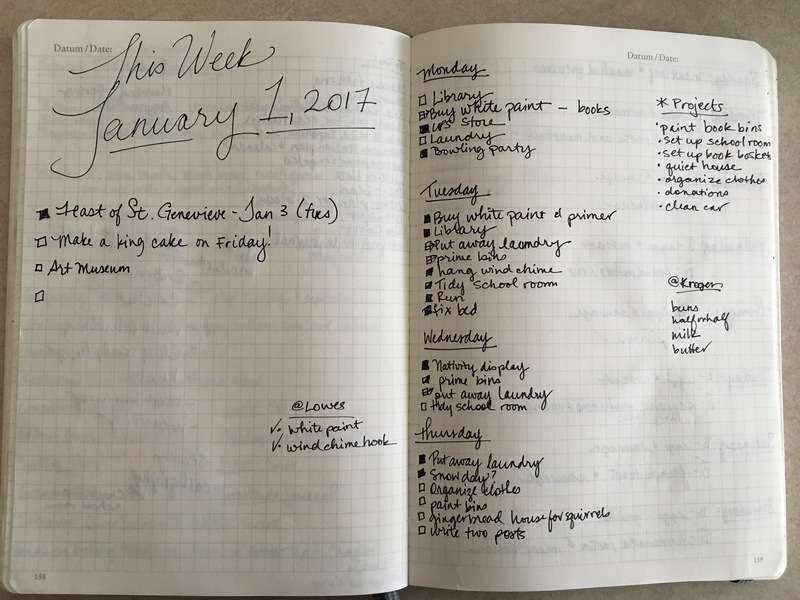 I prefer paper with grid lines on it, so I choose the Leuchtturm1917 squared. Each of these is in the $20 range. 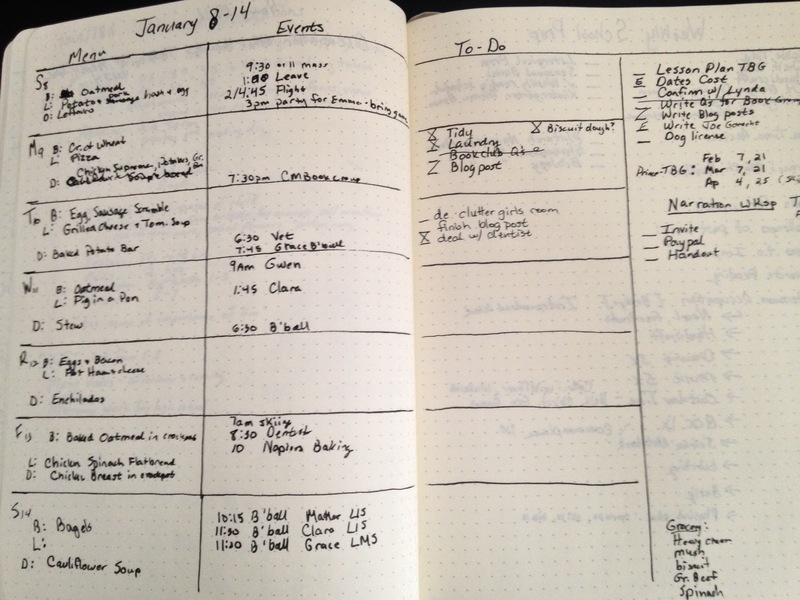 If you aren’t sure quite yet if you want to invest that much, any blank or lined notebook will do to try it out. 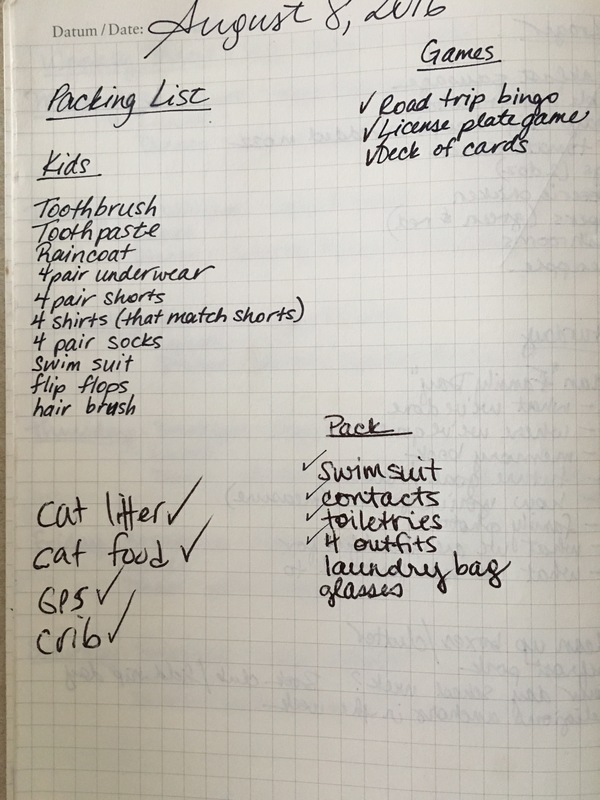 Keep in mind though, that your journal will be going with you everywhere and if this system works for you, you’ll eventually want a nice durable cover, as well as a size that will fit into your purse or diaper bag with ease. 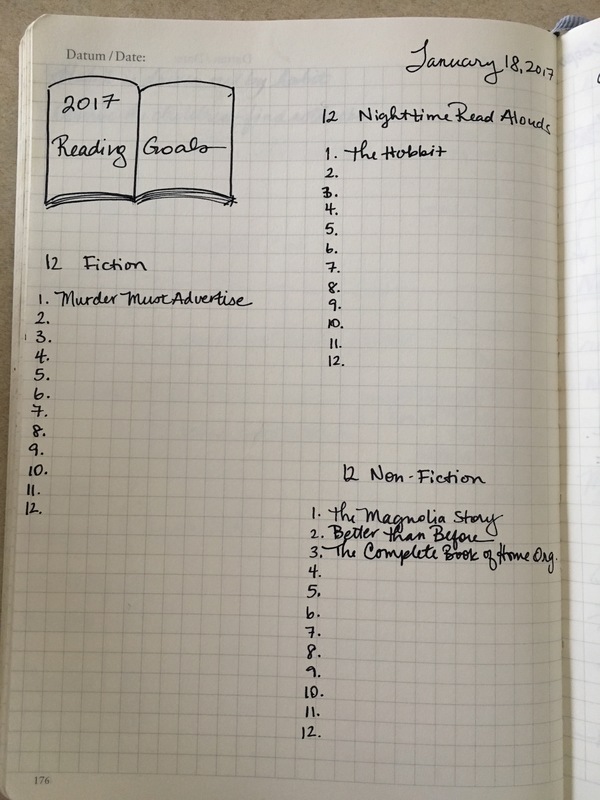 You don’t need special pens for a bullet journal, but you do need to always have a pen with you. 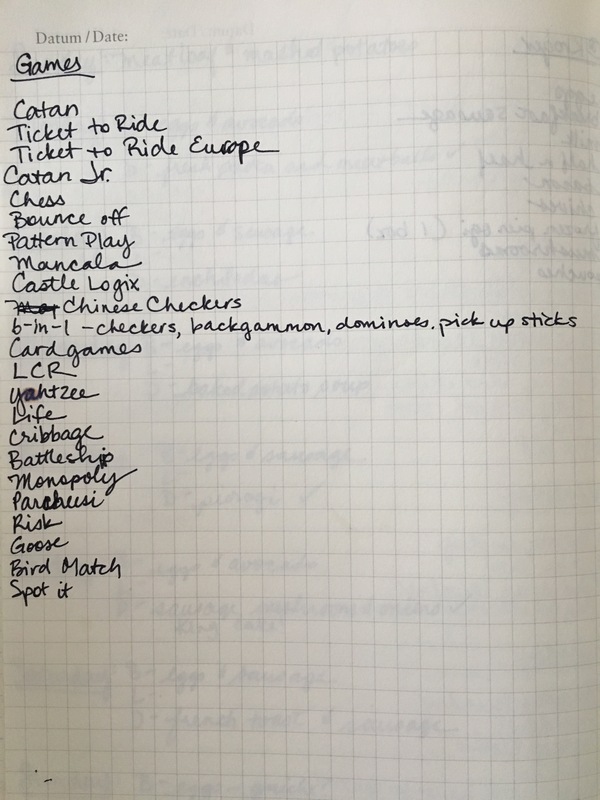 If you prefer all your lists and notes to have some uniformity, you may want to always have the same pen with you at all times. It should be one that doesn’t bleed through your paper, and one that has a good stream of ink that is neither running low nor leaving too much on the paper in the form of unsightly blobs. I have found that when my pens have their own case, they are less likely to get lost and my kids know they aren’t allowed to use the pens in mom’s case. For those reasons, I choose Staedlter fineliners. I buy replacement black pens, since that is the only color I have really run through over and over again. Now, you’re ready to start. 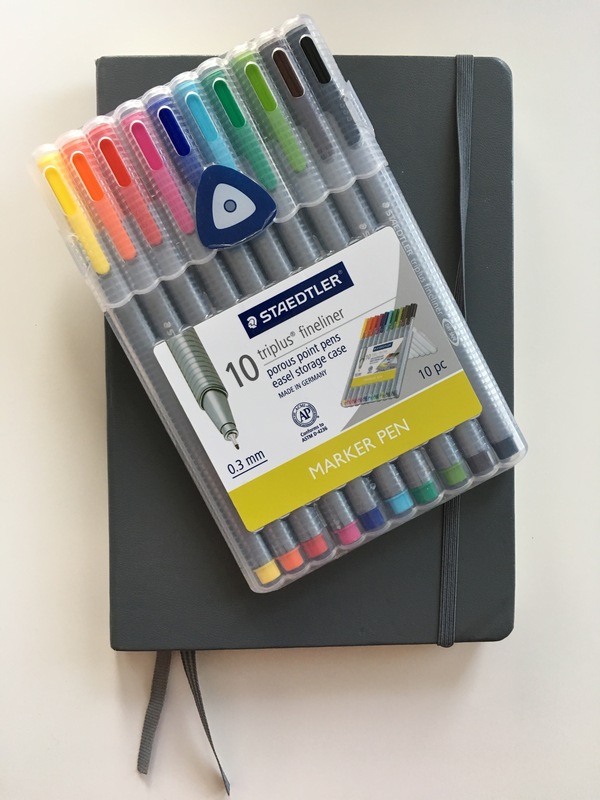 If you’re joining us at our Bullet Journal webinar next week, it might be helpful to have your book and pen at the ready. If you were thinking about it, we have a few spots left and you can click the button below to register and pay. It might just be the best $10 you spend this year.